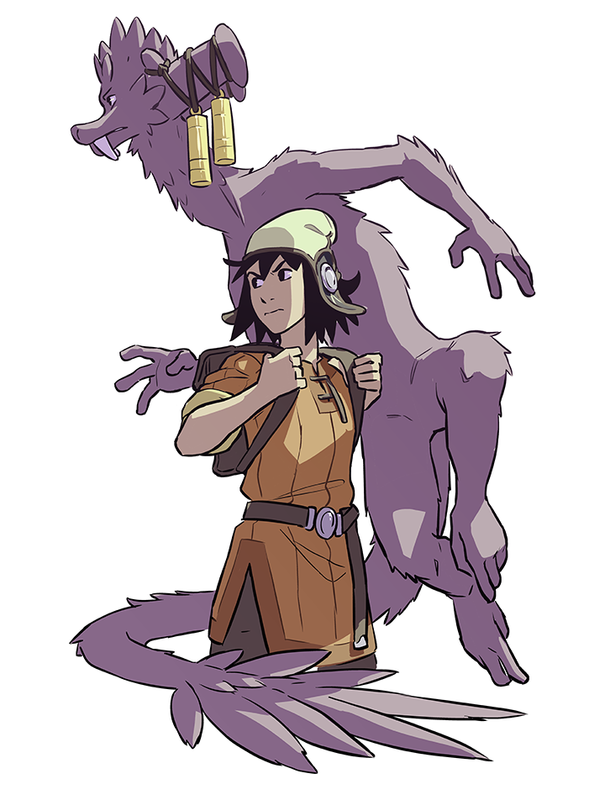 As you probably noticed, there haven’t been any Stonebreaker updates since March. This isn’t because I’m giving up on the comic — far from it! — but because I’m working on the next Avatar: The Last Airbender comics. It turns out that trying to handle two big projects at the same time is way too much work, so, unfortunately, I’m going to have to put Stonebreaker aside till Avatar is done around late 2018 or early 2019. Frankly, I’ve already been on de facto hiatus for a few months, but it’s time I actually acknowledge it. Rather than rushing pages and driving myself crazy with missed deadlines, I need to step away for a bit. The comic will be better for it. That said, there will still be some big Stonebreaker news this year! I don’t want to say too much yet, but the best way to keep up with what I’m doing is probably on twitter, and I’ll also still put important news on this website. Other than that, Stonebreaker is on pause. Anya and Toris have been running away from giant monsters since 2013, after all. They could use a few months break. Great image to take a break on, though! Hope you have a good time with Avatar and see you in 2019! Well hell, that’s the nicest news to have as bad news. Good going. i’ve really enjoyed getting my physical copies of Stonebreaker books 1 through 3, and the prequel Over The Wall. fantastic news about your Avatar work! good for you, dude. is there an email list i can sign up for when Stonebreaker has news? i try to stay off the big media sites like Facebook, Twitter, etc. thanks so much for putting your voice out into the world through image & story. i really dig what you’re doing. may inspiration be with you. I will be waiting. Thanks for good work, man. Will this be coming back soon?? Im dying to know what happens!! Just checking in, boss. hope you are doing well. I’ve seen some activity on your twitter related to Stonebreaker so I’m hoping that means you’ll be able to return to this at some point.